First of all let me take this opportunity to congratulate Silk Road Group MICE Center. It's our pleasure to make the cooperation with you and to introduce our service. we have successfully delivered MICE solutions to our international clients for several years now. We have witnessed a growing demand for MICE services and, at the same time, a growing potential to provide real customer benefits at international standards in the developing Chinese business travel environment. Our mission is to assist clients in translating any idea for an event into reality. 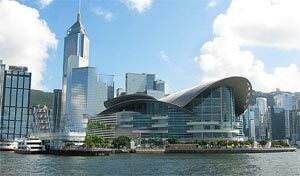 The strong connections we've developed in Hong Kong, Macau and the Chinese mainland enable us to assist clients in building business foundations through meetings, conventions, exhibitions and special events, as well as to arrange trade missions and organize incentive groups effectively and successfully. SILK ROAD GROUP is the biggest travel service provider, so our center owns a great number of advantages in organizing MICE groups. The powerful network in China and abroad of our company, fine relationship with airlines, long-term good cooperation with our partner travel agencies all over the world, and good name among embassies and consulates and foreign tourism organizations in China contribute a solid fundamental of SILK ROAD GROUP MICE Center. SILK ROAD GROUP MICE Center is built up in the background of the speeding development of MICE market for China. We are engaged in providing professional and efficient service for business tour, company meeting, international conference and exhibition, incentive program, and so on. We insist on providing one-to-one service, designing and practicing traveling products according to the detailed request of the clients. We also offer creative ideas to rich the mind of our customers. Whether you're a small organization that lacks the in-house resources to plan an event on your own, or a larger one that simply views event planning as a non-core function, we can help you. And we promise that, from the beginning to the end, your program will be handled by our management team who are both accessible and accountable to you.